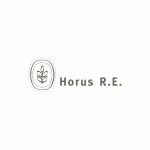 Castello Tesino apartment overlooking the mountains - Horus R.E. 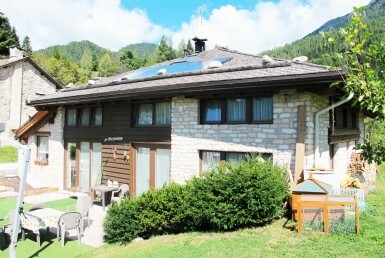 Apartment with a small private garden, immersed in nature and with beautiful views of the mountains. 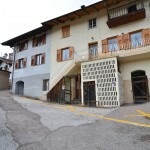 The house is situated in an extremely silent and quiet setting and at the same time five minutes from the centre of the village where all the main services are located. The apartment, located on the ground floor of a small three-story condo, has an area of 56 square meters. A small entrance leads to the living area where we find a bright living room with kitchenette, from here you can access the outside area, covered part with porphyry and part of the garden with panoramic view over the valley. The same entrance leads to a first bedroom overlooking the garden, to a second bedroom on the back and a bathroom with a shower. The floor is in wood in the two bedrooms and in the entrance, while in the living area and in the bathroom is ceramic. The newly built building is in perfect condition and has no opposite buildings, it is particularly bright and boasts a beautiful view of the valley and the mountains. In the basement of the building there is a garage and a cellar, and on the ground floor, a parking space is all included in the required price. The heating is autonomous with a methane gas boiler. We are at Castello Tesino, the largest inhabited area of the Altipiano del Tesino, nestled between the Picosta and Agaro Mountains, an ideal starting point for walks and excursions where the largest forests of Trentino are located. The Tesino is a verdant plateau in the eastern part of Trentino, along with the ancient Via Claudia Augusta Altinate on the left of the Brenta. Situated in the southern area of the Dolomites and close to the Valsugana, it is surrounded by the Lagorai chain, dominated by the highest peak in the area named Cima d’Asta. The undisputed protagonist of the context is green, with vast forests and pastures that leave little room for urban settlements that are then placed in an uncontaminated context. Rich vegetation offers hardwood like chestnut, hornbeam, alder, downy and ash tree in the lower area, then birches and beech trees in intermediate heights to end with conifers that dominate uncontested from 1400 meters up to the upper limit of 1900 meters. During the winter you can enjoy downhill skiing, cross-country skiing and snowboarding, even at night, at the Passo Brocon ski resort and the ski lifts of Lagorai funiculars with the Italian Ski School Lagorai. There are numerous paths in nature where you can go hiking with snowshoes, such as the path the Brocon Pass, Chalet Paradiso or Malga Tolva. Not far from the famous Tesino Golf Club, a 9-hole golf course, located at the foot of the Lagorai chain and immersed in the peace and silence of the plateau.